For the first time, scientists have shown that mitochondria – the “powerhouses” of cells – are crucial for aging, after finding that removing mitochondria from human cells reduced levels of markers for cellular aging, triggering a process of rejuvenation. Study leader Dr. João Passos, of the Institute for Aging at Newcastle University in the UK, and his team say their findings pave the way for new strategies to reverse the aging process. They publish their findings in The Embo Journal. The aging process is believed to be triggered by various forms of damage that our cells are subject to as we get older. Cellular senescence has been associated with such damage, where certain cells have lost the ability to replicate. As a result, they build up over time, causing damage to surrounding healthy tissues by producing increased levels of reactive oxygen species (ROS) – a process known as oxidative stress. For their study, Dr. Passos and colleagues set out to gain a better understanding of the role mitochondria play in cellular senescence and the aging process. Mitochondria generate chemical energy in cells, enabling them to do their job. Previous studies have also linked mitochondria to production of ROS, though the research team notes that other studies have linked ROS production to non-mitochondrial sources, producing conflicting results. 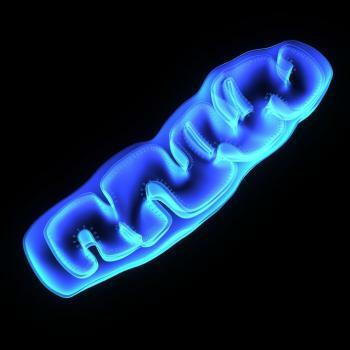 Removing mitochondria reduced markers of cellular aging. The team decided to conduct a series of genetic experiments, in which they grew human cells in a lab and removed almost all mitochondria to monitor the effects. The researchers explain that cells usually use a process called mitophagy in order to eradicate faulty mitochondria. In this study, Dr. Passos and colleagues “tricked” cells into performing mitophagy at a much greater level, allowing them to eliminate the vast majority of mitochondria in aging cells. The team found that when the mitochondria were removed from the aging cells, this triggered a rejuvenation process; markers of cellular aging – including ROS, inflammatory molecules and certain gene expressions – fell to levels that were comparable to those normally seen in younger cells. Additionally, the researchers found that as cells age, mitochondrial biogenesis – the process by which new mitochondria are formed within a cell – is a key driver of cellular aging. Dr. Passos says their results are “very surprising and exciting,” noting that while scientists already knew that mitochondria played a role in the aging process, they have struggled to determine to what extent they contributed.